Rambo: Last Blood has cast Spanish actor Sergio Peris-Mencheta as its villain. The news comes after it was announced that Paz Vega is playing journalist Carmen Delgado, who’s half-sister was kidnapped. Additionally, it was recently revealed that the official title of the sequel is Rambo 5: Last Blood, which is pretty awesome, even though it has brought speculation that this will be the last time that we see Sylvester Stallone bulk up and get into John Rambo shape. The 72-year old actor is still more fit than people half of his age, but it looks like he could be stopping after this one is finished. Sergio Peris-Mencheta is probably best-known for FX’s Snowfall and Dan Fogelman’s Life Itself. 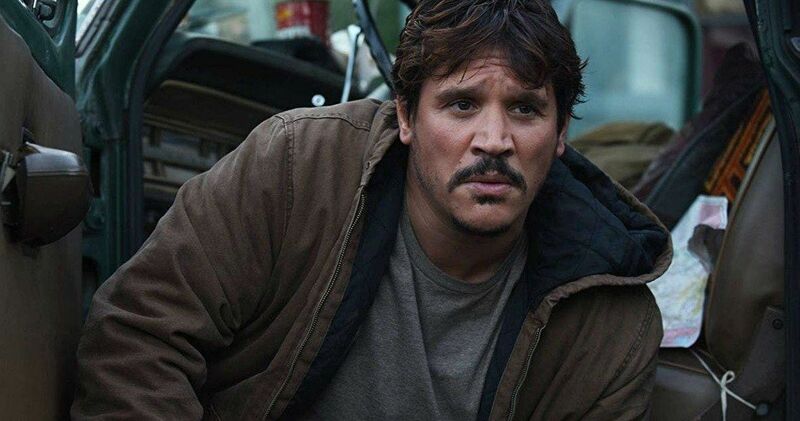 Peris-Mencheta will play the main villain and drug cartel’s leader, Hugo Martinez in Rambo 5. No other details have been given, but we expect some more information to drop soon, especially since principal photography is currently underway in Bulgaria. As seen in Snowfall, Peris-Mencheta certainly has what it takes to play a pretty awesome villain. Sylvester Stallone recently shared a picture from the set to announce that Rambo 5 filming had started. Adrian Grunberg is directing the project from a screenplay that Stallone and Matt Cirulnick wrote. Stallone started writing the story quite a bit ago, so it’s great to see that things are officially moving forward. The film was announced back in May of this year, but there were a few development snags that prevented production from starting sooner. However, Stallone posted some videos on social media to let fans know that the start date was imminent. After the events of Rambo 4, Sylvester Stallone’s John Rambo finally made his way home. But, things aren’t going to be as relaxing as he had previously hoped when the daughter of a close friend is kidnapped, sending him on a new adventure. Stallone previously shared a picture of himself from the set of Rambo 5, looking like more of a retired cowboy. Things will soon get back to normal for Rambo though, with guns, gore, and violence on full display. This isn’t going to be some tame take on the iconic character, as evidenced by Stallone’s intense training videos. Rambo 5 is all set to hit theaters sometime in 2019. No firm release date has been announced, but a fall premiere isn’t out of the question, since filming is already currently underway. With that being said, Stallone will more than likely have to take a break from filming, if they aren’t finished already, in late November to do press for Creed 2. So far, Stallone has treated fans to a behind-the-scenes journey from the development of Rambo 5 to production, much like he did during the production of the highly anticipated Creed sequel. A release date should be announced soon, so in the meantime, let’s hope that Stallone gives us all some more sneak peeks from the set. This news was first reported by Deadline.